With our special fundraiser program, 36Pix & Green Apple Studio has raised $16,936 for the Montreal Canadiens Children’s Foundation this year. 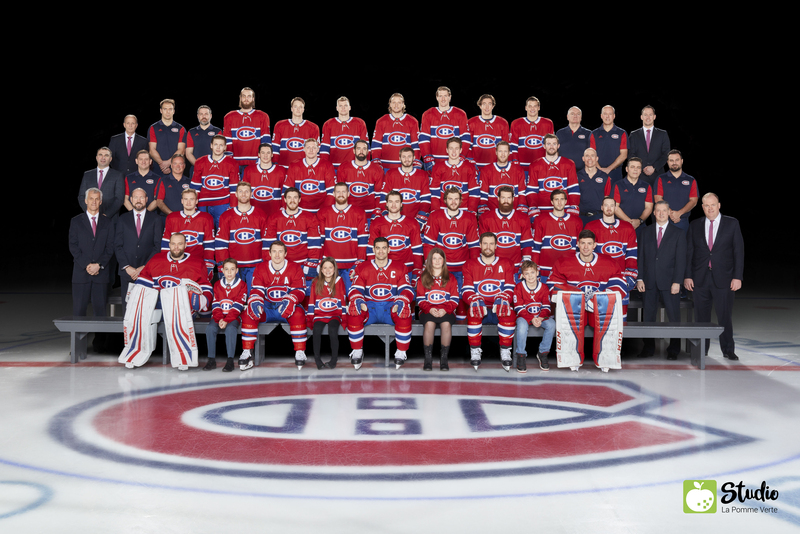 Green Apple Studio, our school photography studio in Quebec, offers exclusive Montreal Canadiens backgrounds to the Quebec community. 100% of the proceeds from the sale of the backgrounds go to the Montreal Canadiens Children’s Foundation. 4 students from 4 schools that participated in the fundraising program won a photo session with the Montreal Canadiens, the coaching staff, members of the organization, and the Canadiens' management. 100% of the proceeds from the sale of the backgrounds go to the Montreal Canadiens Children’s Foundation.